Bookshelf speakers usually come in a compact form factor that can be mounted on a rack or located on a small shelf. These loudspeakers are usually 2-way, and sometimes 3-way, consisting of the tweeter, midrange, or treble speakers. Sometimes such devices can contain one coaxial or wideband (+-HF) speaker. They often have limits in bass because of their small form factor but still, are able to impress the person with deep sound. Floor acoustic speakers are usually large enough to stand without additional props installing. They often contain multiple drivers with specialized bass (woofer) driver, midrange driver, and tweeter. Such products usually have more powerful bass and can play louder than similar bookshelf variants. Am I looking for quality sound with medium/high frequencies, soundstage, or just want to enjoy the loud sound with a lot of basses? Can I place bookshelf speakers or floor acoustics in my room next to the vinyl player? Don’t forget that the bookshelf products better fit small apartments, while the floor variants can become a great solution for big rooms. Compact elements are cheaper than the big models. Moreover, the first speaker’s type can be active and passive, while the second models are almost always passive and need an AV receiver or amplifier with a “phono” input. Let’s get acquainted with all these details below. Passive and Active Speakers: What’s the Difference? Active speakers for turntable maintain the pre-installed power amplifier. Such a system combines two devices – the emitter (speakers) and the amplifier itself. There is no need to make an additional connection between them. In practice, this means high reliability, since mentioned inner units are perfectly matched. In passive speakers, there is no pre-installed power amplifier, the owner has to buy it and install additionally. A true music fan can purchase any amplifier and easily connect it to the speakers. The problem is that it’s hard to choose the perfect element because it can become out of order due to the increased load. 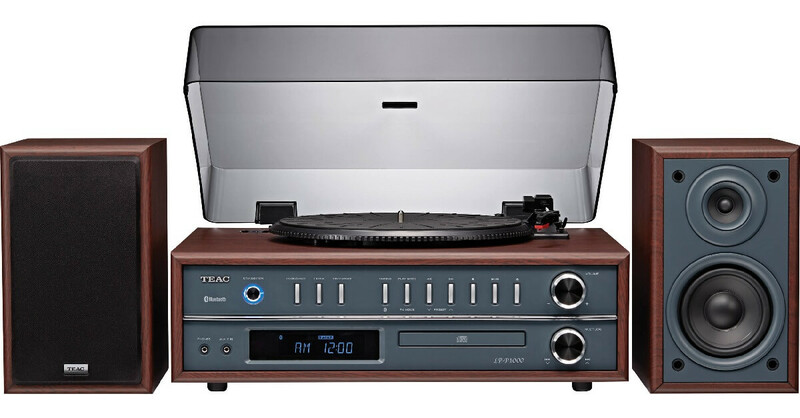 The best powered speakers for turntable (active) have a high-quality sound even at low volumes, while the passive ones will produce clean sound only on middle or high volumes. The passive unit’s mobility is great, but the active speakers have lighter bodies, so it’s easier to move them from place to place. It’s much easier to use the active speaker’s pre-installed power amplifier, but at the same time, due to the passive device, there is an opportunity to choose the necessary amplifier with “phono” input or AV receiver independently. The good active speakers for record player will be right for the rookies who are not professionally versed in all the intricacies of acoustic settings. However, passive acoustics systems would be great for professional musicians who want to customize the sounding completely. Some bookshelf models immediately occupied TOPs, others gradually won the hearts of listeners. Some had an aggressive marketing policy; another became popular thanks to the recommendations of the owners. It’s rather hard to make the right choice. While looking through active and passive sound devices, I have chosen some worthy options to help find the best bookshelf speakers for vinyl. The active speaker system produces rather balanced and not V-shaped muddy sound. This item is well made, includes acoustic fiberfill and a clean crossover. On the contrary, the corps is light so it can resonate at higher volumes. It’s better to put a heavy book on top of the speaker while listening to the loud hard-rock music. It’s easy to connect RCA speakers for turntable due to mentioned plug and 3.5mm input jacks; moreover, the speakers can surprise you with high notes sounding because even falsetto voices don’t distract. It’s hard to call the Micca the best speakers for vinyl under 100 dollars, but it is undoubtedly an agreeable variant. The system has a decent bass response even without a subwoofer. The assembly quality raises no issue. Magnetic removable speaker grill makes the speakers look very modern. The sound becomes downward because of the ODAC using. It’s hard to reach the power switch and volume controls because they are placed on the rare side. Such active home acoustics distinguishes by excellent stereo sound. The speakers’ corpses are made of walnut and cherry with a predominant matte black color. There are special tweeters of silk, woofers of an aramid fiber, a 3.5mm optical audio input, and a Bluetooth module with an antenna at the device’s backside. These are speakers with RCA input, so it might be effortless to connect phonographs to amplifiers. It’s possible to enjoy heavy-metal tracks because I can hear each instrument, and there is an amazing merger. The remote controller is bulky and freezes from time to time. Black lining has magnetic hardware, so the removal/installation is a quick process. Low frequencies present a realistic sound. The furniture can absorb the music. I have to isolate the speaker’s sound via peculiar stands, but the manufacturer doesn’t include them in the set. The speakers are amazing for basses, but the other sounds are a little bit muddy. The devices’ design is very simple, so I don’t have a desire to put speakers somewhere in a prominent place. They don’t have stands, but special rubber stickers properly perform this role and absorb the vibration. The case is covered with a simple black film. On closer examination, slight barely noticeable irregularities are visible at the tips of the corners. From the standpoint of aestheticism, these active units can’t be perceived as the best speakers for record player, but despite the design problems, Sony’s product has a decent sounding. The model has a nice soft bass (the sub plays greatly from 33-35Hz and the maximum sensitivity is in the range of 40-43Hz). Speakers can boast with an auto power off function, which helps not control the unit all the time. The low-pass filter at the line input is regarded as a serious plus, so no sound cards or distinctive outputs are required. RCA cable from the kit is cheap and very thin. It is better to replace it. The phase inverter plug connection is behind the speakers, so I can’t place it close to the wall. 2-way active speakers of the shelf type are 13 inches in height. They attract with matte-colored hulls and “wooden” overlays on the sides. One of the speakers contains 4 power amplifiers, so it produces clear music even at high volumes. These items are one of the best powered speakers for vinyl from an aesthetic point of view, and from the functional side, the situation is a little bit worse. One speaker has a receiver of the IR-signals, which was made especially for the remote controller. The trick failed because the small unit works erratically and slips out of hand. At the same time, I definitely like the Digital Sound Processing and 5.5-inch subwoofers with an aluminum diffuser, which allow making the sound more filled with bass and deepness. Besides the fact that massive cases are made of high-quality thick MDF boards and are not covered with a film, they are carefully painted, and all corners are flawless. The S1000DB is able to connect to record player without problems and start working with no additional settings. It seems that sound, which comes from the speakers, becomes even better because very old phonograph disks are played without groans. Even deep scratches on the plate’s surface are barely audible. I can switch inputs only via the remote, and that is bad because the controller refuses to do it from time to time. The basses are good, but they are not powerful enough. I like the ultra-high-end Neodymium tweeters presence because these elements in speakers make the vinyl player sound very clear. The passive units are not the best speakers for vinyl record player, but they look amazing and able to make the sound move in a multi-directional way; I mean that even after placing the elements near the listener or behind him/her, the sound will be enveloped. The peculiar midrange pointed dome creates the feeling of being in front of the stage with musicians. The insufficiently deep bass is an unpleasant surprise for me because the rock music via vinyl player has lost its deepness and doesn’t seem to be impressive. Build quality is excellent. The corps is made of an engineered dark wood, which makes the devices very light. The manual has all the important data and it is easy-to-understand. The speakers need a break-in because after the first usage the sound is awful. The system becomes very hot in a short period of work. The exclusive technology of trumpet loudspeakers and tweeters provides high-class response, powerful dynamics, and natural sound. The passive speakers can boast with high sensitivity, small sound distortions, controlled radiation pattern, smooth frequency response, wide dynamic range, and other extra features. Additional amplifier with “phono” plug helps connect the devices to the vinyl player easily. Apart from the good elements, it needs to mention the lack of power in sound. The produced music is rather weak, and sometimes I even have to tune in to the track to get all the musical effects. The maximum volume isn’t enough for rocking the room, so the Klipsch product isn’t the best turntable speakers for big parties, but it is a not bad option for small companies. Speakers have a classic 2-way configuration and are able to fill with the sound a small or medium-sized room. Seamless integration of low-frequency woofers with IMG technology complements the sound of dense bass with minimal decay. I found a small crack on the body, which indicates the bad-quality corps material. It’s hard to connect the speakers to the vinyl player. The device refuses to accept new facilities and starts cooperating after the few repeated attempts. The KEF LS50 bookshelf passive speakers system has impressive miniature dimensions. Its thick walls made of MDF ensure the high-quality acoustics and excellent antiresonant properties, contributing to the natural sound formation. The Uni-Q 5.1-inch driver, which is responsible for medium and low frequencies, and the 0.9-inch tweeter are located in the center of the radiator. Suspension of mid/low-frequency emitter is elastic, which allows the system to form a dynamic scene with a well-detailed middle and deep bottoms. It’s very strange that such small units are so heavy (15.87 pounds). Devices’ open-ended acoustic design recreates surround sound with rich bass. The cylindrical phase inverter tube has a specific form, so it reduces the level of transverse resonance during the work process. The corps is too glossy, and it’s easy to see the fingerprints and even small scratches on it. Top frequencies are able to cause ear fatigue. The revised mid/woofer provides an excellent level of detail in the upper bass and doesn’t sound light. A very old vinyl record can become a reason for a little bit annoying screech appearing. Some high notes are reproduced too strident. At the same time, passive bookshelf speaker system brings the main vocals to the most advanced sound stage and makes the leading instruments bright and alive. The durable MDF case with elegant black ash finish has increased volume, stiffness, and durability. The frequency range up to 35000Hz provides very high realism, so these models are one of the best budget speakers for vinyl, which can present such a frequency response. Define waveguide improves directional control and eliminates diffraction inherent in most corps. The port is on the front side, so the placement is much easier. While listening to jazz and soft rock, I can’t feel the depth of soundstage. Passive floor speakers, the TSi500, can form a large-scale and natural sound stage in a spacious room. Carefully tuned port sockets minimize hustle, providing good expansion at low frequencies and full-fledged, natural sound with rich bass. Despite the substantial sound power, the units have a compact size for convenient placement in an ordinary living room. The speakers are distinguished by high-quality exterior trim of black or cherry tree and their large supports provide good damping and stability. The Polk Audio TSi500 is very heavy, so it leaves some indentations on the floor. These devices have three woofers to extend the bass range and present really immersive sound. A low noise phase inverter helps reduce distracting din. Dynamic Balance proprietary technology allows getting clear and rich sound. Sometimes I can hear strange wheezing, which doesn’t depend on a vinyl record quality. The corps isn’t sturdy because the slight scratch is enough to leave unaesthetic marks. Two additional emitters are mounted into the upper panel of one speaker. In fact, they were made in order to transform the devices into Dolby Atmos home theater. That peculiarity doesn’t play a critical part while turntable using, but still, it has considerable influence on music quality and makes even classic performers sound like a modern artist with innovative and surrounded notes. The Klipsch has a new Tractrix horn-type design, and thanks to it the high-speed air flow passes through the opening, which is located on the rear panel without audible noise. These passive speakers have a classic black design, so they can become a useful decoration in a room. Appointed sound editors can pinpoint the sound and make it moves around the listener. I can’t call these units as the best budget speakers for turntable because the mids sound a little bit distorted. Its weight (71.5 pounds) is rather high even for floor-standing speakers. These passive products have classical Sony appearance. Black corps will make speakers the discrete elements. Devices have rigid MRC fiber woofers, which hold their shape even being under the high pressure. They don’t produce much vibration, and they stay cold even after a long working period. The 3-way 4-driver floor-standing speaker system demonstrates all the hidden sound sides and even hard music is canorous. Floor speakers system presents crystal-clear highs and really tight bass. The coherence is on high levels. Sometimes I even startle because of instruments vividness and voices sounding. The wide dynamic range makes the speakers produce clear music on all the volume levels. Some higher-frequency sounds are too uneven for me. When speakers are turned off, they produce some barely noticeable noise. The speakers have an MDF wood grain, but it looks like real mahogany and is rather strong to cope with mechanical loads. The sound is detailed enough. I can hear each sound and musical instrument; moreover, it’s easy to distinguish them and enjoy solo parties due to the thrilling highs. The turntable quickly connects to the speakers, but at the beginning, the sound was awful. The Fluance product needs time to get it up and start a real and high-quality music producing. Specific midrange drivers smooth out all the sound problems, which can be related to the vinyl record quality. Reliable and small 1-inch isolation spikes that make the installation process much easier. The manual is too brief. The sound can be lost while placing the speakers in huge apartments. Where Should I Place Speakers For Getting the Best Sound? How to Connect Speakers to Turntable? Do I Really Need a Phono Preamp: What’s Its Benefit? If the speakers are placed at a short wall, this may help emphasize low frequencies (basses), but at the same time, some unpleasant resonance phenomena can also appear, similar to buzzing rumble or ringing. These peculiarities are particularly pronounced with significant elongation of the room. In this case, the placement against the long wall is preferable. The distance between even the best speakers for vinyl (o matter of their dimensions) has to be 78-138 inches. If the units are tightly pressed to the room’s corners, the low frequencies emphasize as much as possible. If you need lower bass attenuation, you can raise the system to a certain height from the floor. The first thing you have to do is to connect the RCA (red and white) plugs from the player’s cable to the matching RCA inputs on the speaker. The next step is to plug in the RCA connectors from the player’s cable to the included RCA (female) to 3.5mm mini-plug (male) adapter cable, making no doubts to match red plug to red plug and white to white. Then connect the adapter cable mini-plug to the speakers’ Line Level input. The last procedure is to connect the RCA plugs from the turntable cable to the included RCA to 3.5mm mini-plug (female) adapter cable. Then connect the adapter’s 3.5mm mini-plug to the powered speakers’ mentioned input cable. The problem with record players is that the signal, generated by the needle, is not so high, so the speakers can reproduce it. In other words, if you just used needle output, you would get a faint sound that lacks linear amplification. This faint signal is called a phono signal. A particular preamp can upgrade the audio system. Speakers for turntable with installed preamp are able to add individuality to the sound of the system, make the music louder and cleaner. Even pre-installed preamps are not powerful enough, so stationary variants are more useful.